What is your ‘why’ for going into business? There’s a side to entrepreneurship that many see, and that is the Instagram side. This is a space dedicated to showing off the curated side of being a business owner. Being your own boss, to the untrained eye, looks like a lot of fun when all you see are photos of manicured fingernails touching laptops, coffee cups, and the occasional stylish lounge waiting room for a pitch meeting. Who wouldn’t want to pursue becoming a business owner if this is what it looks like? The reality, of course, is that real entrepreneurship looks nothing like an Instagram feed. You’re working towards your dream, but there are lots of challenges to face and tons of hats to wear to reach it. Did I also mention that it’s a lot of hard work to be an entrepreneur? That maintaining that momentum is an all day, every day grind in order for your business to survive and thrive? It’s more spilled coffee cups and overscheduled agendas than perfectly heart-able posts. Now that you have a glimpse of what the non-Instagram side of entrepreneurship looks like, and know you still want to pursue it, it’s time to ask yourself a few big questions. Don’t make the leap before you have thought carefully about what this leap forward will mean for you in the long run. 1. Do you have a viable business idea? Think about the idea that has you motivated to become an entrepreneur. Maybe it’s a product you would like to launch to help make lives easier. Or perhaps it’s a service that you have years of experience to offer to customers. Whatever the idea is, it’s key for you to examine it from every objective angle. Start asking yourself idea-specific questions. What makes your business idea unique from the competition, and what is its unique selling proposition? Is there a demand for this type of product or service within my desired target audience? What makes you qualified to run this type of business and provide these types of offerings? Once you’ve answered these questions thoroughly, draft a business plan to further outline the idea’s details. 2. Can you handle spending all your time working on the business? No matter what kind of products or services your startup offers, the first few months to a year (and perhaps even a couple of years) will require a major amount of time and energy on your part. You will likely be calling all of the shots with the company, and wearing as many hats as possible to ensure that the business succeeds. There are, of course, options available to outsource some of this workload to skilled professionals. This allows you to concentrate on other aspects of the company. However, no matter what you delegate, you will still need to be responsible for many other aspects of the business to ensure that all goes smoothly. You’ll need to understand how to properly manage your time in order to meet all deadlines and goals in place for the company. 3. What is your motivator? 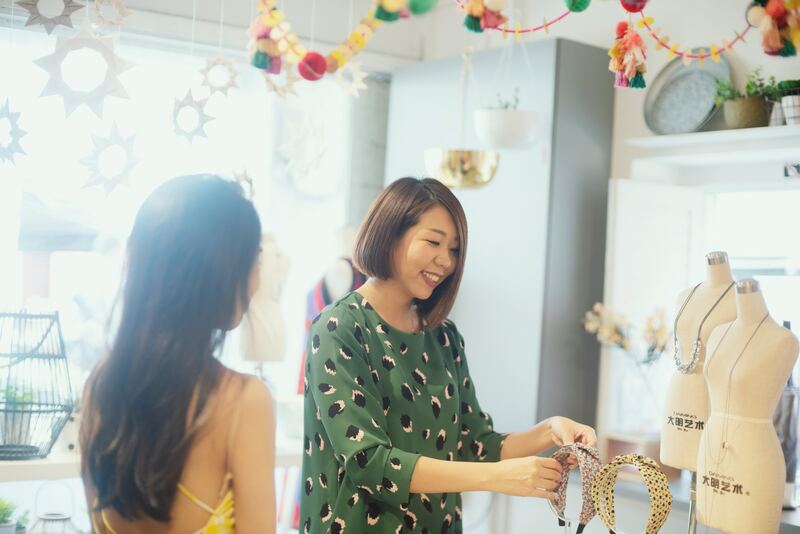 The State of Female Entrepreneurship, a new study from Visa, researched the current pulse of female small business owners in the United States. According to the study, more than 163 million women worldwide have started a business since 2014. Is there a clear-cut motivator for the uptick in female-led businesses within the last five years? As it turns out, the answers vary for everyone. 48% cite that they want to pursue their passions, with 43% seeking financial independence and 41% aspiring towards more flexibility. Other motivators included making more money, a better work/family balance, and the ability to create one’s own environment. Ask yourself what motivates you to become an entrepreneur before you begin planning to pursue it full-time. What is your ‘why’ for going into business? What kinds of short and long-term goals do you hope to set and achieve? Regardless what that motivation may be, one of the most fascinating statistics from the report was that 79% of U.S. female entrepreneurs feel more empowered today than they were five years ago. Extremely fitting, if you sync it up against the number of women that have become small business owners since 2014!